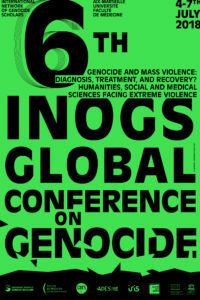 The International Network of Genocide Scholars (INoGS) was founded on 14 January 2005 in Berlin in order to provide genocide studies with a non-partisan community in which to research and present analysis on any aspect of (individually defined) genocide studies. The delegates at the INoGS (International Network of Genocide Scholars) Conference in Marseille were interested in our multi-disciplinary approach and called it surprising and refreshing. The range of our study inspires people to think and philosophize about shifting paradigms. The combination of historical and medical research is quite unique. 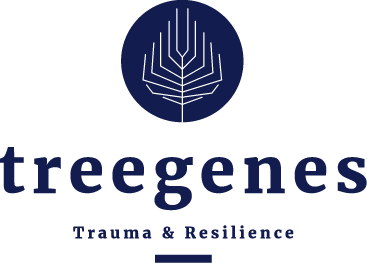 The academics in the audience wondered whether the TreeGenes results could be applicable to other populations. And what do we think? Is it more than just a hypothesis, and why not? We have always said that peace mission veterans, first responders at disasters, policemen, NGO staff members and others who help on the spot could benefit from the study in the future.